TextSpeak has been selected to help riders in Paris. Over 2,000 TextSpeak TTS-EM-LP’s low power text to speech modules have been deployed citywide at bus stops for spoken arrival and departure information in French. They include tactile labels and a button for voice announcement of waiting time for the visually impaired, all using the TTS-EM-LP modules. The TTS-EM-LP is a high definition, world–language low power, best in class, Text to Speech module with human sounding speech synthesis in a scalable low power interface. Seamless integration, simple operation. Real-time voice announcements generated directly to speakers from text in RS-232 serial data. 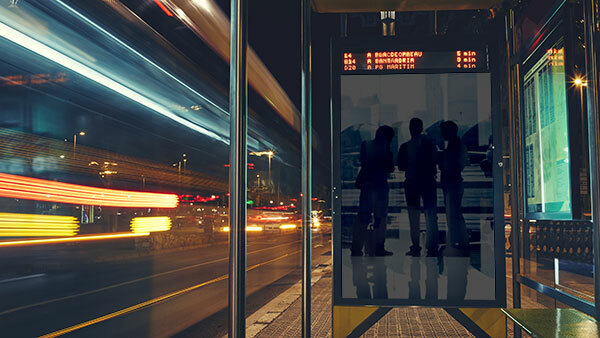 JCDecaux’s subsidiary SOPACT was awarded the contract by the Paris City Council’s tender department to manufacture and maintain the bus shelters, which will have the French “Origine France Garantie” label. For more information read the JCDecaux press release.